Temporarily Out of Stock. Expected back in stock mid-April. Email us to be placed on a wait list for this item. A set of the NM Adjustable RPS Trigger™, and the NM Speed-hammer. 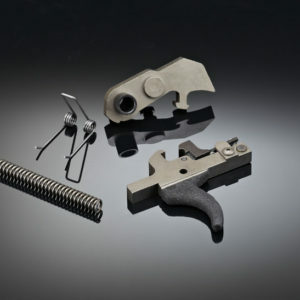 National Match Prepped, this trigger/hammer are the only M1 / M14 trigger parts to ever offer drop-in NM performance, with no modifications or grinding required, along with a 25% reduction in lock time (hammer swing time). Polished, ground, and fully hardened sear edges will release the hammer like breaking a glass rod. A hard / low friction surface coat makes the trigger pull butter smooth and eliminates wear. 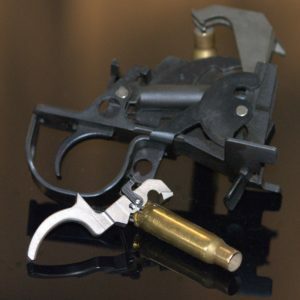 Lock time is the time between when the trigger releases the hammer, and the hammer hits the firing pin. That’s time during which the rifle is typically swinging off-target. Especially in offhand shooting, if shots are broken as you are moving ‘off-target’, that time can cost points. 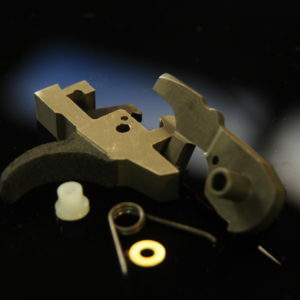 The ShootingSight NM Hammer is machined from billet steel to be light weight, reducing polar moment by 40%, and optimizing geometry for speed. 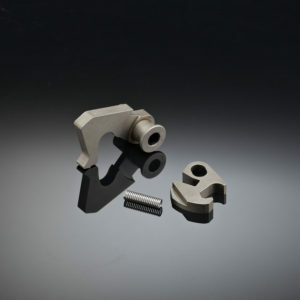 Lock time is reduced 35% from 8.5ms to 5.5ms; which is as fast as a mil-spec hammer on an AR-15. Trigger sear edges are ground and polished to be sharp before an ultra hard and low friction surface coating is added. 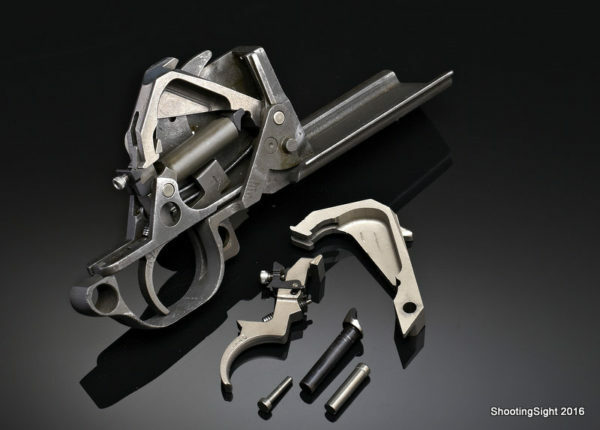 The result is a smooth trigger pull, and a clean break which will not wear. 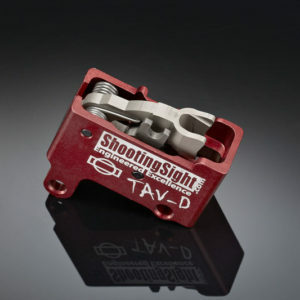 Adjustments are added for second stage sear engagement, as well as for trigger pull weight, allowing adjustment to a minimum of 4.5lb for NRA/CMP competitions. “These are worth every cent you pay for them. Try one in a match, you will never it have any other way. I got them in my match conditioned 14s and in my McCoy M1. When I can afford another one, it will go in my other McCoy M1.” Nez R.
I recently added a Sage EBR to my M1a. Installing this trigger and hammer set was easy by following directions on YouTube. 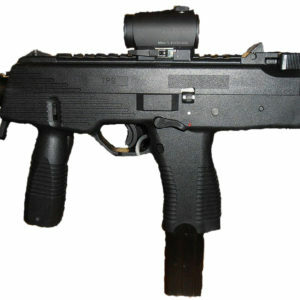 The contour of the trigger is much more ergonomic and comfortable for the pistol grip. I set it for 3.5 lbs. and it has a very smooth first stage with a crisp break. The engineering and finish are excellent. I paid full price and was later contacted by Kelly Bryce in customer service letting me know there was a coupon available and they had issued a credit for that amount. Overall an excellent product with excellent service. I installed this trigger in a H&R USGI trigger housing and I am very pleased with the results . I set the pull weight at 5 pounds as creep bothers me more than pull weight . Trigger is very crisp with no creep , and pretty easy to set up , just watch the installation video and take your time . All in all , a very nice drop-in trigger and I will be purchasing at least two more soon .